Laid down, 19 June 1943, as a Maritime Commission type (C3 hull) at Seattle-Tacoma Shipbuilding Co., Seattle, WA. 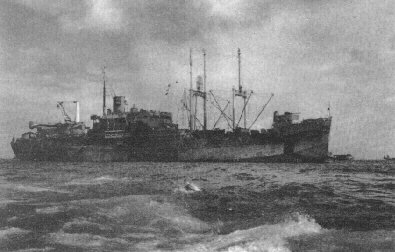 Decommissioned, 29 May 1947, at San Pedro, CA. 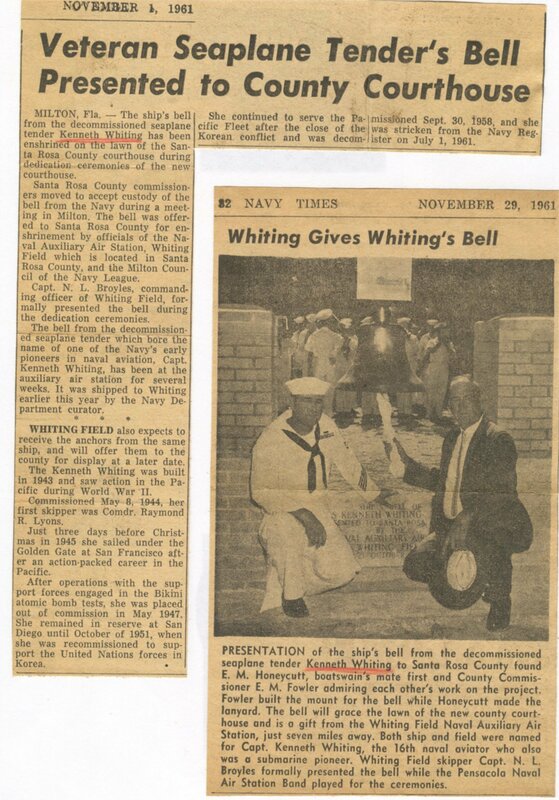 Recommissioned, 24 October 1951, at San Diego, CA. 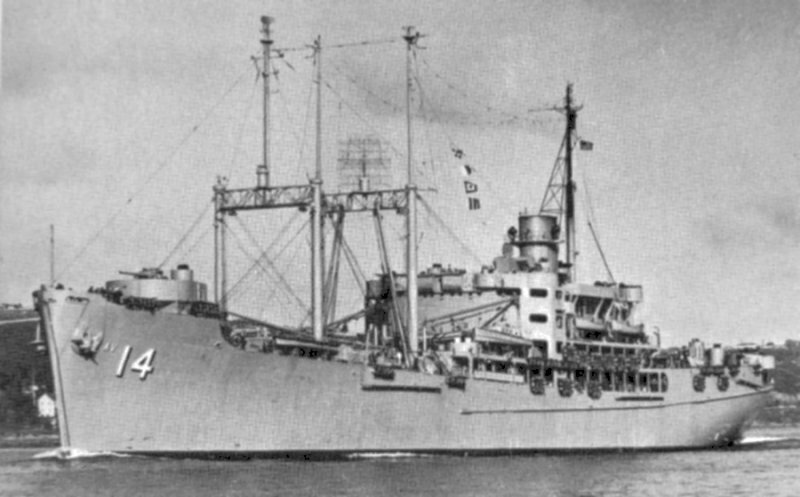 Decommissioned, 30 September 1958, at Puget Sound Naval Shipyard, Bremerton, WA. three turbo-drive Ship's Service Generators, 500Kw 450V A.C.
CDR Kenneth Whiting, photographed aboard USS Saratoga (CV-3) while serving as her executive officer, 1927 to 1929. 38k USS Kenneth Whiting (AV-14) underway, date and location unknown. Note she is painted in camouflage scheme Measure 32/8x. 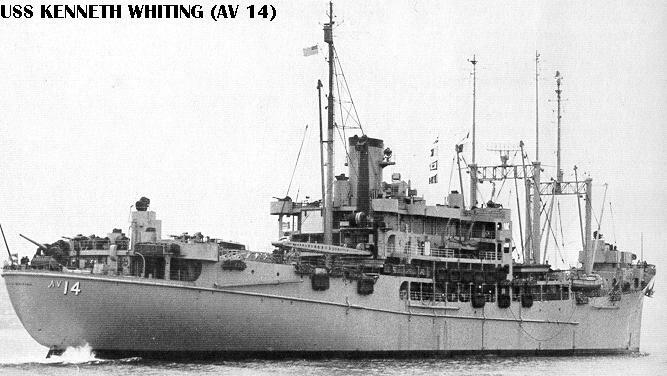 23k USS Kenneth Whiting (AV-14) at anchor, circa 1943, location unknown. 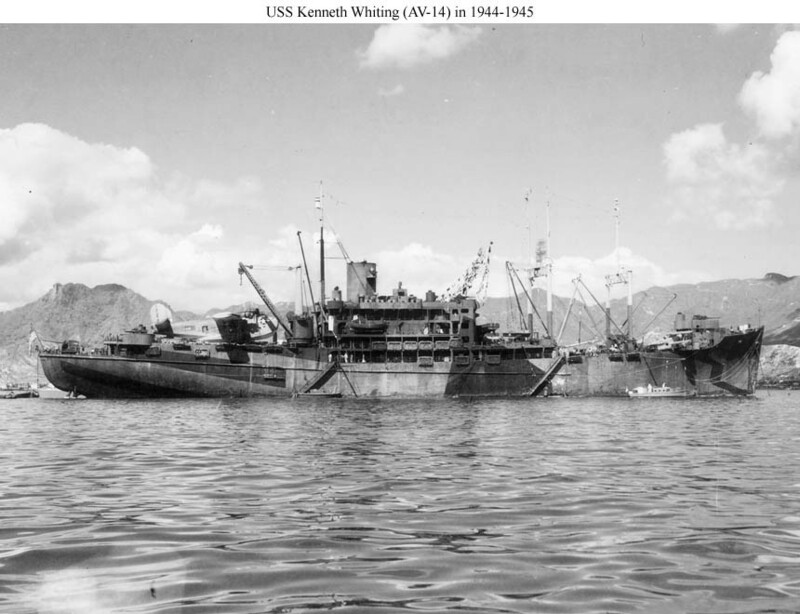 Note she is painted in camouflage scheme Measure 32/8x. .
111k USS Kenneth Whiting (AV-14) at anchor, and location unknown. Note she is painted in camouflage scheme Measure 32/8x and has a PB2Y "Coronado" on her after deck. 60k USS Kenneth Whiting (AV-14) underway in th harbor at Sydney, Australia, date unknown. 128k USS Kenneth Whiting (AV-14) underway, circa 1956, location unknown. 58k USS Kenneth Whiting (AV-14) underway, date and location unknown. Richard MIller BMCS USNR Ret.